If judging a book by it's cover is something deemed wrong by most, then the Covered blog was illegal in multiple ways on a pretty daily basis. A hive of creativity, inspiration and a thought-provoking nature, Covered allowed it's contributors to re-imagine any comic cover they liked, in any media, style or twist they imagined. Now after over three years of showcasing exactly that, Covered has sadly blogged it's last blog. Rob Goodin has stated the response is due to a drop in submissions, and will allow him to concentrate on other personal projects. From Mark Engblom's recreation of Carmine Infantino and Murphy Anderson's Superman #199 cover (pictured) to ROM posing a danger to small children in the X-Men's 'Danger Room', the 1000 plus entries on Covered make it an invaluable web resource even now in it's finished state. From myself a huge thanks to Rob for all his efforts and those of the artists who contributed. To see the portfolio in full for yourself, check out the alternate comic cover source, Covered, after the jump. While it's Supermans book and mega old DC continuity Aliera I'd guess Supes. 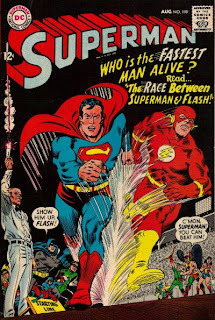 But for my two cents it should always be the Flash. A) he can siphon speed off any competition and B) his core power is speed via movement. So if he cant beat any one at his own game it just feels pretty lame. What do you reckon? Who would you bet on? 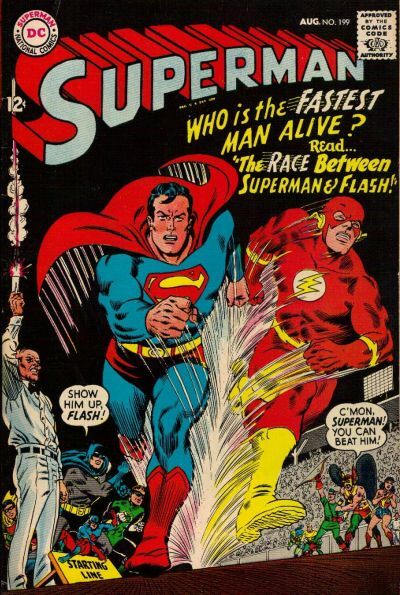 I would definitely bet on Flash. 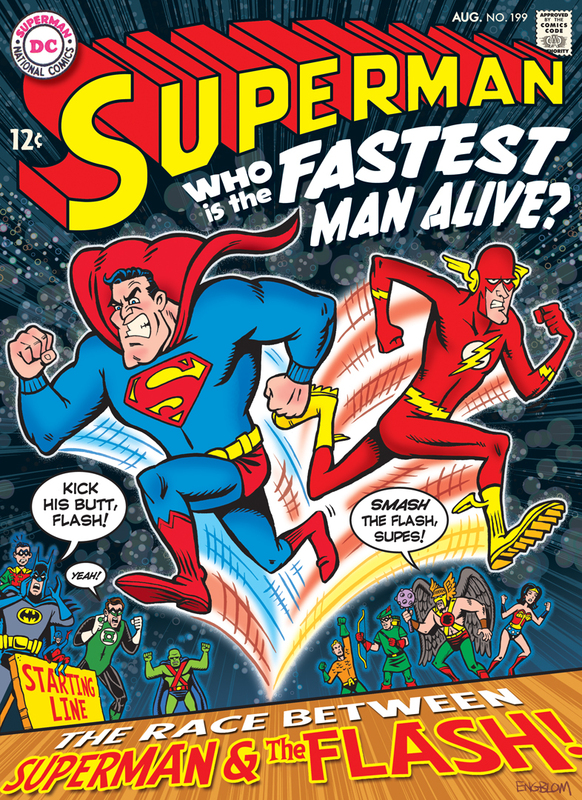 Faster than a speeding Bullet in to slooooowwwww for Flash or else he doesn't deserve the "fastest man alive" name. t always bothered me that thing that DC always had to make Superman be the greatest around on everything. Ominipotence is very uninteresting, and in a world full of heroes it sounds a bit lame. So for me Supes is a strong Guy that can fly and do stuff with his eyes. 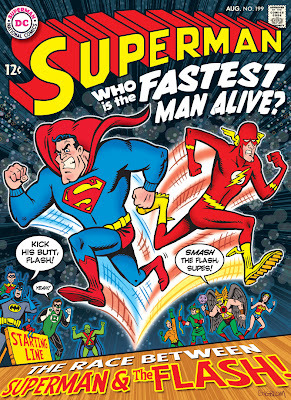 The Fastest is Flash.